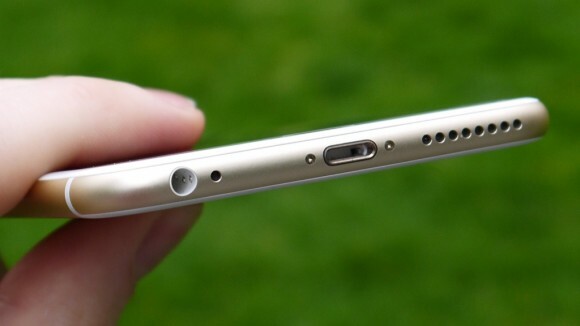 No more headphone jack in the iPhone 7? You are here: GeekSays Technology News » Apple » iPhone News » No more headphone jack in the iPhone 7? We’re expecting to see a totally revamped iPhone 7 next year, when it comes to the design, and it seems that the Cupertino-based manufacturer has already started considering changing some design elements. Will Apple say goodbye to the 3.5 mm jack? According to PC Mag, one of these changes will be related to the headphone jack, which will be replaced by something else. Apple is well known for changing some of its connectors (remember the Lightning port introduced with the iPhone 5), but we’re very curious how are they planning to shrink or even replace a 3.5 mm port. If they will indeed shrink the port, it means that the iPhone 7 will be even slimmer than the manufacturer’s current smartphones. Still, let’s not forget that a slimmer phone can be a bit fragile, leading to a return of ‘Bendgate’. On the other side, the new aluminum used by Apple in manufacturing the iPhone 6S and 6S Plus might be strong enough to deal with this. But back to the headphone jack, the only way Apple can do this, if you ask us, is to replace it with a smaller jack, but this could cause some problems. The majority of headphones present today on the market are using the 3.5 mm jack, so Apple needs to come with a solution for this. As we know the company, it wouldn’t be such a surprise to see a special set of headphones in each iPhone 7 box, compatible with the new jack. Also, another version would be to make a headset with a Lightning connector, so users could connect them through the same port used for charging the phone. For the moment, there aren’t any details about this, but we’re very curious to see what solution Apple opts for the iPhone 7. Keep an eye on our blog, as we will keep you updated as soon as anything new comes up.